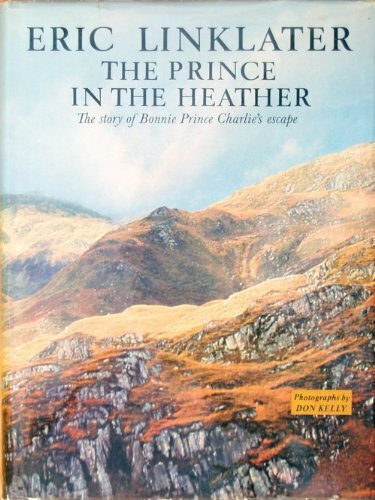 1) Eric Linklater's book, THE PRINCE IN THE HEATHER, is real, and so is the quote about the "Fraser of the Master of Lovat's regiment" who survived Culloden. The photo above shows the 1968 edition of Linklater's book. Almost half the Highland army had died at Culloden, cut down in a blast of cannonfire and searing musketry. But not Jamie Fraser. “No,” Roger said doggedly. “That bit I read you from Linklater’s book--” He reached to pick it up, a white volume, entitled The Prince in the Heather. “Following the battle,” he read, “eighteen wounded Jacobite officers took refuge in the farmhouse near the moor. Here they lay in pain, their wounds untended, for two days. At the end of that time, they were taken out and shot. One man, a Fraser of the Master of Lovat’s regiment, escaped the slaughter. The rest are buried at the edge of the domestic park." 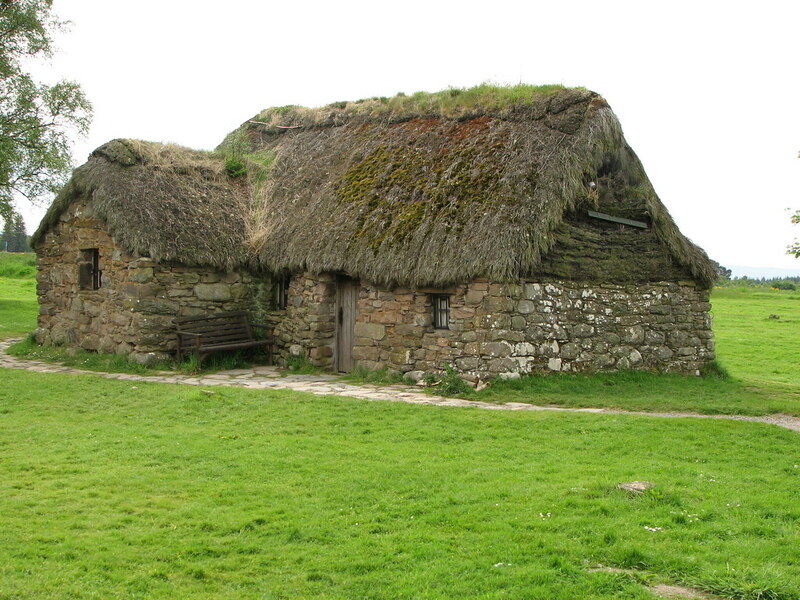 The photos below show Leanach farmhouse, where Jamie and the other Jacobite officers found refuge immediately following the battle. The top photo is by fair paul, on Flickr. I took the bottom photo, showing the cottage from the back, on my trip to Scotland in July 2012. 2) This photo shows what "panther cap" mushrooms look like. (Photo credit: adam_jcz, on Flickr.) This is the type of poisonous mushroom that killed the Dutch family at the beginning of ABOSAA. Moist, fleshy caps, a pale brown with white warty spots, the open gills and slender stems so pale as to look almost phosphorescent in the spruce shadows. They had a pleasant, earthy look to them that belied their deadliness. 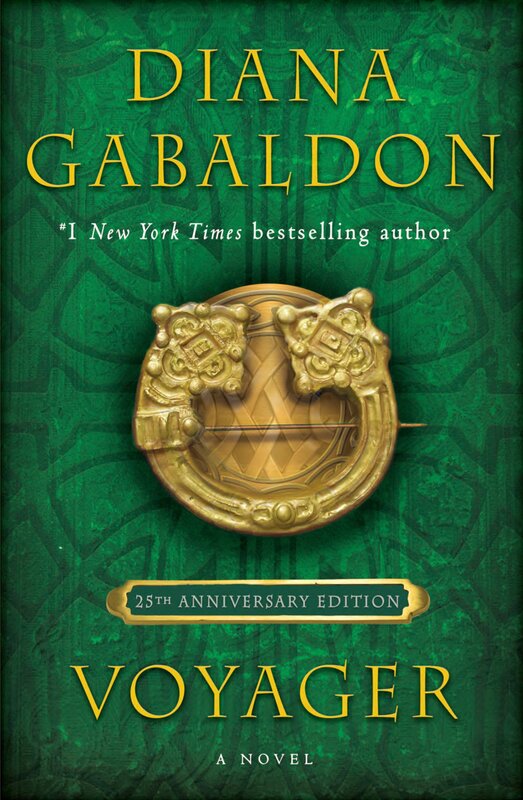 I could see the gooseflesh ripple on Brianna’s forearm, raising the soft, red-gold hairs. She tilted her hand and spilled the rest of the deadly fungus on the ground. “Who in their right mind would eat toadstools?” she asked, wiping her hand on her skirt with a slight shudder. The panther cap has often been mistaken by people searching for Fly Agaric Amanitas.....Although it contains muscarine, the deliriant substance responsible for the psychoactive effects of the Fly Agaric, the panther cap also contains a number of toxic alkaloids. 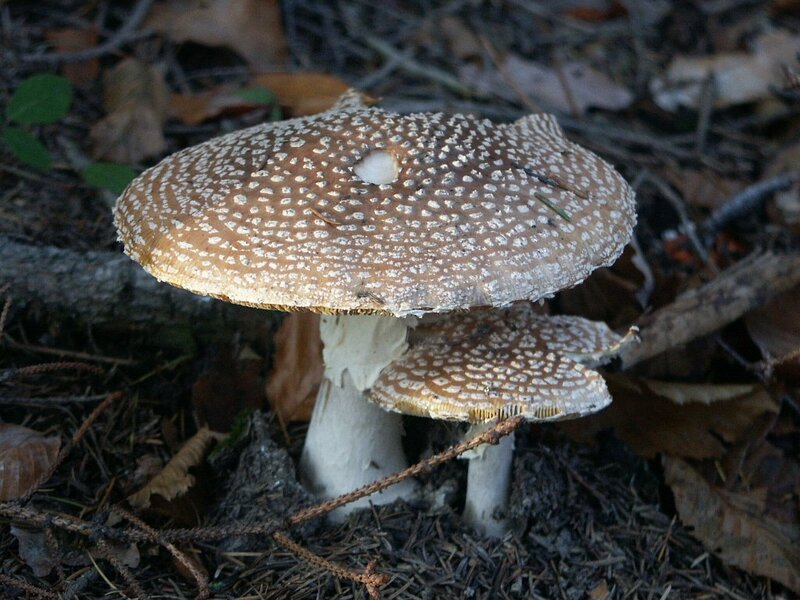 It has been responsible for the highest cases of mushroom poisoning in the Pacific Northwest, where it is commonly found alongside Fly Agaric Amanitas in moist conifer forests. For more about these mushrooms, look here and here. Jamie took a deep breath and had another go. “Very nice, Mr. Allnut,” I muttered to Jamie under my breath. “At least we’re already married." 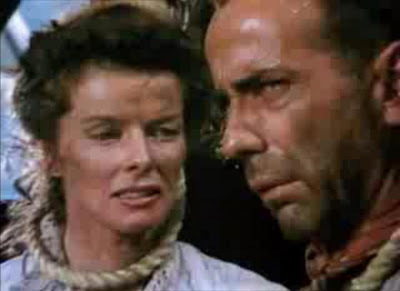 Claire is referring to a scene near the end of the 1951 movie, THE AFRICAN QUEEN, starring Humphrey Bogart and Katharine Hepburn, in which Charlie (Bogart) and Rose (Hepburn) have been captured by the Germans, and are about to be hanged. Moments before the execution is to take place, they ask the German captain to marry them. Charlie: Aw come on, Captain, it'll only take a minute, and it'll mean such a lot to the lady. So in the scene in ABOSAA, Claire is commenting on the fact that Jamie's attempt to talk Governor Martin into freeing her has just backfired pretty dramatically, and the governor is now furious, threatening to hang them both. The scene in the movie is much funnier if you see it in context. If you've never seen THE AFRICAN QUEEN, I highly recommend it! By the way, if you're wondering why the character's name is spelled "Ohnat" in some editions of the book, that's a typo. 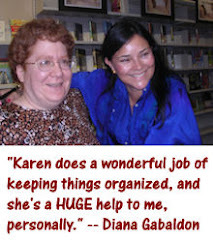 Look here for Diana's explanation, on Compuserve in 2005, only a few months after ABOSAA was published. 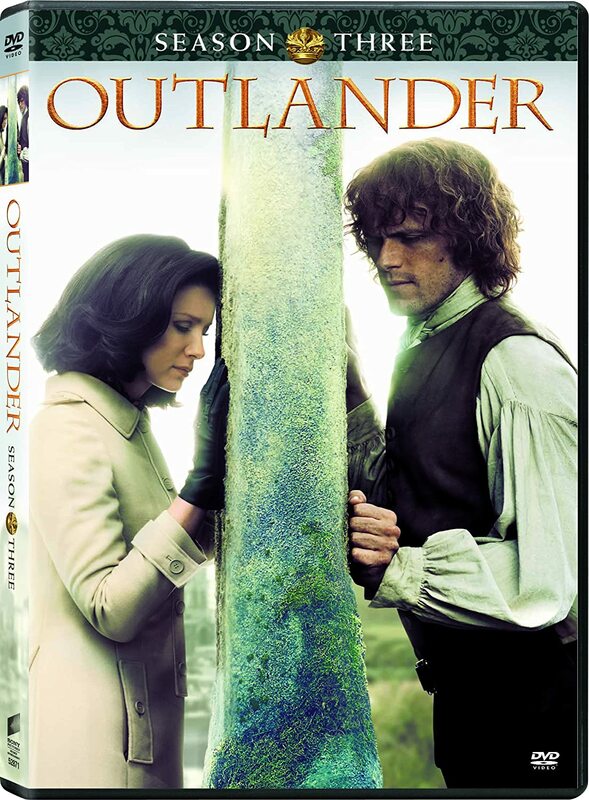 4) Remember the tiny pill-shaped creatures that Claire discovered in OUTLANDER? I had been wondering about the “slaters,” spelt variously as “slatters,” “sclaters,” and “slatears,” which seemed to be an important ingredient in a number of medicines, so I was pleased to see a clear cork-stoppered vial with this name on the label. The vial was about half-full of what appeared to be small grey pills. These were no more than a quarter-inch in diameter, and so perfectly round that I marveled at Beaton’s dispensing skill. I brought the vial up close to my face, wondering at its lightness. 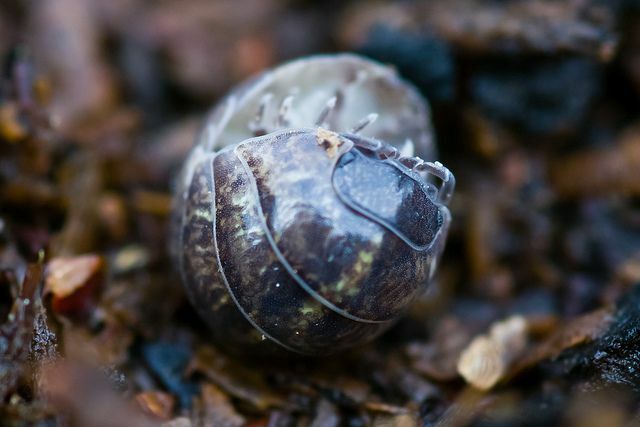 Then I saw the fine striations across each “pill” and the microscopic legs, folded into the central crease. 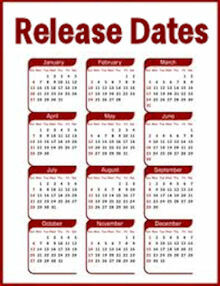 I hastily set the vial down, wiping my hand on my apron, and made another entry in the mental list I had been compiling. For “slaters,” read “woodlice". 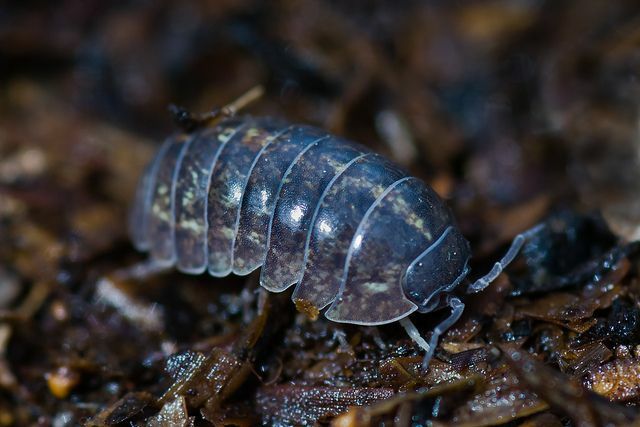 The scientific name for this species is Armadillidium vulgare, but they are known by a variety of common names such as woodlouse, pill-bug, or roly poly. 5) I had never heard of the practice of gigging frogs until I read AN ECHO IN THE BONE. Gigging is the practice of hunting fish or small game with a gig or similar multi-pronged spear. Commonly harvested wildlife include freshwater suckers, saltwater flounder, and small game, such as frogs. A gig can refer to any long pole which has been tipped with a multi-pronged spear. The gig pole ranges in length from 8 to 14 feet for fish gigs and 5 to 8 feet for frog gigs. A gig typically has three or four barbed tines similar to a trident; however gigs can be made with any number of tines. Here's an article explaining how to gig frogs. This photo shows a homemade version of a frog gig. I think the one William made might have looked something like this. William wasn’t about to try to kill a bear, or even a deer, with a homemade spear. He was, however, reasonably adept at gigging frogs, or had been. A groom on his grandfather’s estate had taught him long ago, he’d done it often with his father in Virginia, and while it wasn’t a skill he’d found occasion to practice in the last few years in London, he felt sure that he hadn’t forgotten. Frog gigging is also common in eastern NC. Eric Beale [NCIS LA] said he used to wear a kilt until Hetty did ?something?...} on the 10/8 episode. I was just at Culloden in September - that farmhouse is behind the English lines, and way too close to the battle, don't you think? I like to think they were a bit farther away in a farmhouse no longer standing. And Drumossie is the other direction too. Would love to hear if Diana has something to say about this. Suppose it is possible. Love "The African Queen" and recognized Claire's reference immediately. I always love Claire's references to her own time (e.g., John Wayne, etc.) Thanks for these FFFs, Karen! Link to Compuserve explanation re: Mr Ohnat is dead!